If your life isn’t quite where you want it to be, you may be surpised to realise that the decisions you made in the past, along with your thoughts about them, led you right here, to where you are now. So, how is the next phase of your life going to look? The same as it is now, more or less, or will it take a significant turn for the better? The good news is that the answer to this question is totally within your power. With the right tools and techniques, you can significantly improve your life, by designing it exactly the way you want it to be. If you’re like most people, the answer is a resounding No! Most people get as far as making a few New Year’s Resolutions, but the majority are lucky if they make it through January before falling by the wayside. Isn’t it interesting that people spend more time planning a holiday than they do their own lives? Making firm plans and writing them down significantly improves your chances of succeeding. In fact, a study amongst Harvard graduates in the 1970s found that the mere 3% who made goals and wrote them down ultimately earned more money than the other 97% put together! With your GPS turned on and programmed in, on the other hand, you can quickly and efficiently go the most direct route to your required destination! By helping you identify energy blocks and imbalances across these six dimensions, you’ll be able to unleash the positive energy that already exists and can be converted into activities that leads to results. Each type of energy is interconnected and imbalances in one area will impact your experience of life. 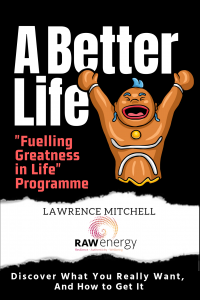 Through the ‘A Better Life’ programme, I’ll take you through each of the different types of Energy and help you to create your own personal resilience and wellbeing toolkit to fuel your greatness this year and beyond. WHAT THEY SET OUT TO DO? Without a strong ‘why’ and clarity of the result you’re aiming for, the path can be longer, more stressful and more expensive than it needs to be. Often, the journey becomes too difficult and we move on to another idea or project, giving up on a dream. The truth is, with more sticking power, we can see our ideas flourish and give us the success we desire. ‘A Better Life’ will help you get real clarity on your purpose, mission and values in life that will help make the task of goal setting and goal attainment so much easier. You’re designing the life of your dreams, so yes, it will require you to be committed and to do the work if you want to get the results. In this journey, you’ll be forced to look at the dark corners of your life and will have much greater self-awareness as a result. This isn’t a quick fix, get rich quick scheme. This is, however, a proven technique that will help you identify the right path to follow and run down it enthusiastically. Using our step-by-step approach as a guide, we take you by the hand and help you work out the course of action that’s right for you. 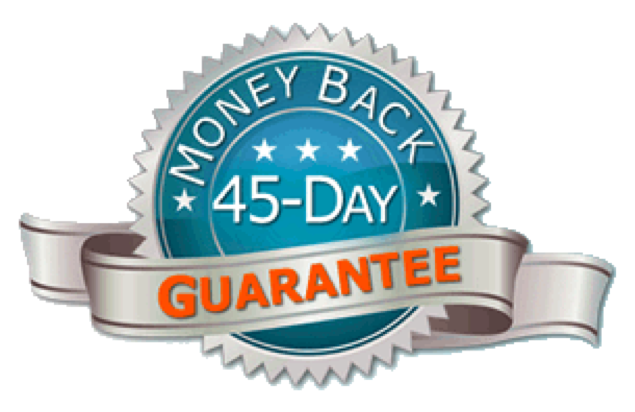 It is also an enjoyable and creative process, with you effectively sculpting your own life. WILL I BE ABLE TO FIT IT INTO MY BUSY SCHEDULE? The programme was built with busy people in mind, so it is deliberately split into bite-sized pieces, that you can fit into any time slot, in any location. Personally, I always set aside a couple of days every year to go through the exercises. This immersive experience works for me and is the recommendation. If you follow and trust the process, you will get the results. You end up with your own blueprint of your future life – this is a priceless asset to have as it will literally lay out exactly the life that you personally designed. 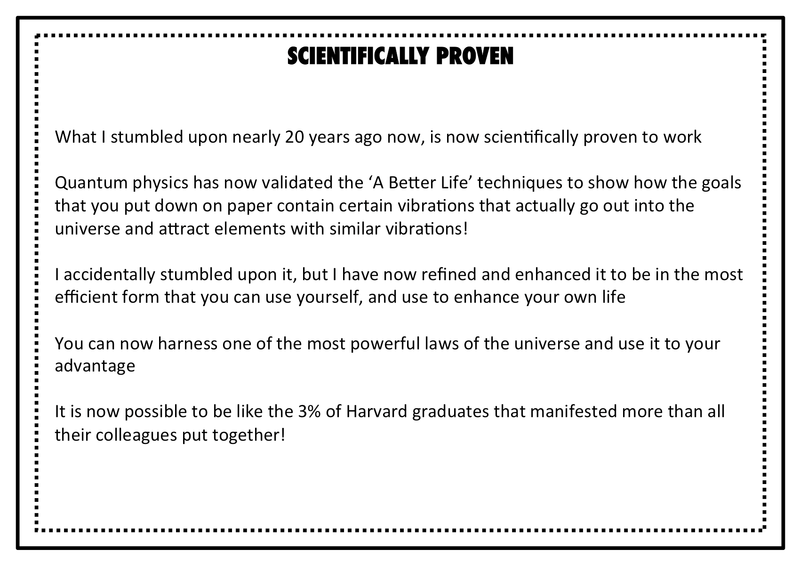 WHY SHOULD YOU TAKE ‘A BETTER LIFE’ PROGRAMME? So, what would it be worth to you if you…. That’s what I’d love to be able to share with you today.